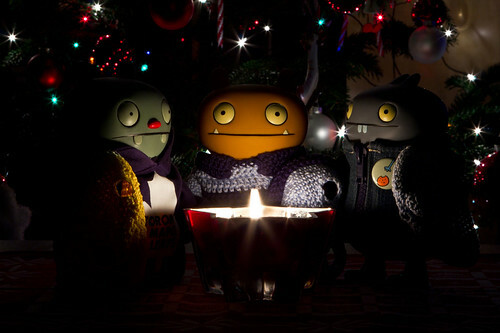 Uglyworld #1789 - For A Dearerests Friendly - (Project TW - Image 365-366), a photo by www.bazpics.com on Flickr. Ever since myself, Babo and Jeero startereds up Hat Club a few years ago we has been havings a meetering at the starts of each month to discuss anything importanters that may requires us to showers up wearings our hats in an officiallers capacity. It's not very oftens that we has to callers an emergencies meetering, but as the acterings chairman of Hat Club todays I had the unfortunaters job of callering Jeero and Babo in at shorters notice. I receivereds word that one of who we uglies refers to as the foundings fathers had passereds away. The foundings fathers are basicallies a group of speciallers mens and womens who enablereds us to not only travellers from Uglyworld to Earth, but also givered us the abilities to lives here and be totallies acceptereds into normals daily life, not to mentions surroundering us with loves, hugs and cookies. Wage: "I has callereds you here to gives you some badders news, one of our founding fathers has passereds away, without furthers ado can everyone please removers their hats"
All: "May the cookies liner the streets, until the nexts timer we meets!" Wage: "And now, a minutes silences please"
p.s. Everyones here in the cookie cave is senderings our loves, hugs and cookies to her family in this toughers time!